The entire Dead Sea region is part of the Great Rift Valley that stretches, north to south, from Northern Syria down to Central Africa. It is also located in the desert belt that runs, from west to east, between North Africa and the Sind Desert in western India. In early geological periods it was rich in water and in animal and plant life, signs of which are found both in the quantity of minerals and in the type and structure of the soil. Animals whose bones and hard structures were compressed and refined between the limestone strata on the sea floor constitute the source of the layers of phosphoric chalk, important today for industry and agriculture. This organic life, which separated out into various carbonic materials, also constitutes a source for clay and bituminous chalk. Some of these layers are found only after drilling, while others are clearly visible on the surface, indicated by the brown-black color of the crevices and the combustibility of the rock. Esterbon, the first century geographer, mentions Massada clay in his writings. 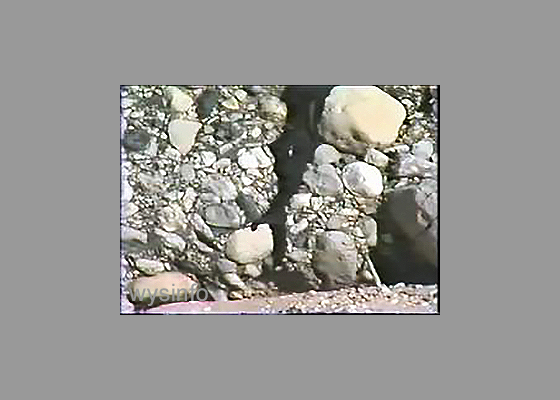 This clay is found along the wadis and cliff walls and adheres to the soil and gravel, making lumps of conglomerate which are swept down in the winter floods. 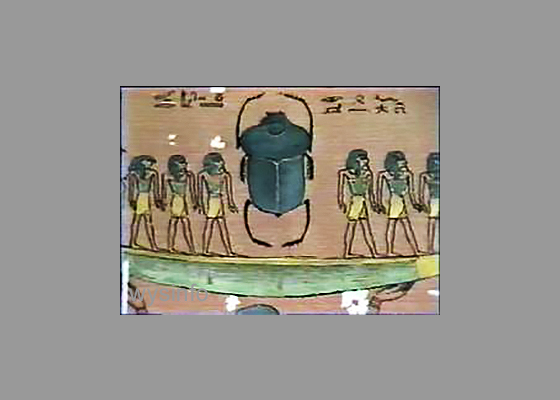 In Esterbon’s view, the ancients regarded this marl as the remains of the destroyed biblical cities of Sodom and Gomorrah, which are traditionally believed to have sunk under the southern basin of the Dead Sea. Bedouin fellahs in the Judean Desert used to burn the bituminous chalk for lime and related the secret of the combustion to the influence of ‘Nebi Musa’, the holy tomb of Moses located in the area. 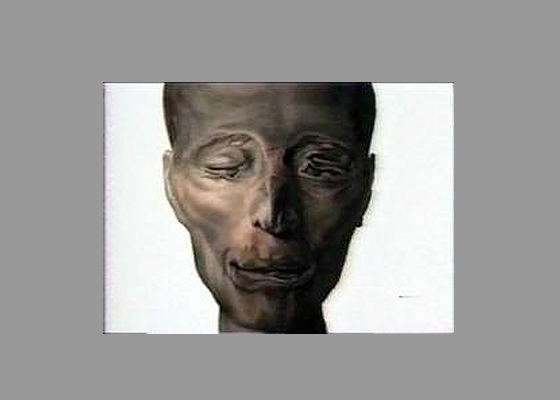 In addition to the bituminous chalk and the clay found within the layers on both sides of the Dead Sea, there is floating clay which the Egyptians used to smear on their vessels and to embalm their dead and which rises spontaneously from the sea floor. These and other geological signs create hopes that oil or petroleum may be found deep in the geological strata, and indeed trial drilling is undertaken here from time to time. The pure sulfur, whose formation is associated with separation of oil into the strata of the Jordan Valley and into hydrogen gas which erupts from the hot springs and various fissures in the ground, was used most effectively by the local inhabitants, among other things, as a means of repelling snakes and at a later stage in the preparation of gunpowder for their weapons. Sulfur is also found in the Dead Sea region between the layers of lissan marl and the gypsum formed as a result of the climate. 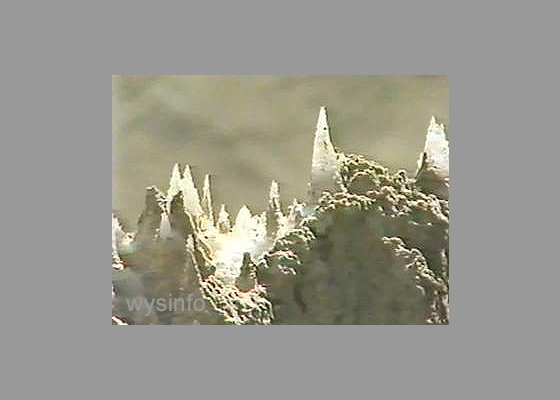 Gypsum (used as a basis for plaster) sometimes attains a height of six meters and more; and has a property of rapid hardening that makes it useful in the construction and casting industries, as well as in sculpture and medicine. 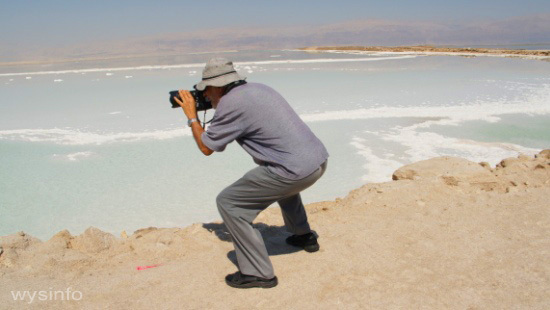 The Dead Sea area is the richest region of mineral resources in Israel. Enormous deposits of phosphates, shale oil and natural gas, raw materials for the building and cement industries, and materials for ceramics and glass-making are located nearby in the mountains of the north-eastern Negev and in the Judean Hills. Some of these resources are being mined at present, but for ecological reasons others are not, as the striking landscape of the area has to be preserved. 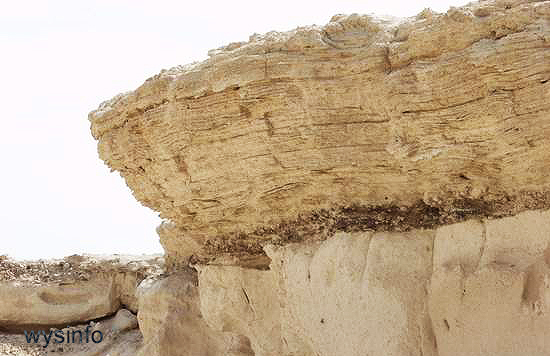 Mount Sodom, a uniquely scenic structure, rises 230 meters above the level of the Dead Sea. The mount is 2-3 kilometers wide and eleven kilometers long. This mountain, which is nothing other than a block of salt that sank into the bottom of the ancient lake and was lifted out as a slab by tectonic tremors, consists of about a billion tons of pure salt which is almost ready for the table. Inside, it is pierced by caverns and tunnels which originated as funnels and chimneys on the mountaintop. Rainwater dissolved first the upper layers of the gypsum marl, and then the layers of salt below as it penetrated the mountain in its movement towards the sea. The chill that pervades the caverns on summer days as well as in winter is the result of the drafts of air that take up the damp that oozes through their hygroscopic walls and lower the temperature. The number and sizes of the tunnels and caves, sometimes hundreds of feet long, are a striking proof that only great deluges of water in prehistoric times could have been capable of dissolving such thick layers of salt and forcing the solution out to the sea. A process of cave and labyrinth formation is continuing even today. The cap rock and the pillars of salt that have fallen from the mountain top or formed within it have themselves become carved and shaped by changes in climate, erosion, and rainfall, and resemble sculptures of tropical hats, huge mushrooms altars, dolmens and of course Lot’s wife. The fault scarp consists mainly of hard limestone and dolomites from the Kinoman and Toron periods. Canyons cut through it from the Judean Desert in the west and from the Moab Plateau, whose eminences change their hue from hour to hour with the changing color of the glass-smooth sea. The wild landscape, together with the pastoral calm that imparts to the place the aura of creation have, from time immemorial, formed the compelling scenic background to the Dead Sea. The area is principally an ‘orographic desert’. Its aridity results from the high barrier of the Judean and Hebron Hills, which obstruct the moisture-bearing low fronts coming in from the west and from the zone of the global desert belt. The high air temperature, over 40 degrees Celsius in the summer and 20 degrees Celsius in the winter, the slight cloudiness and the rare occurrences of rainfall, together with the relatively low humidity and the wind regime in the region, give rise to massive evaporation, in spite of the low level of solar radiation. This evaporation has an annual daily average of 12.1 cubes, while in July it can reach 18 cubes a day, resulting in the crystallization of salt on the lake. 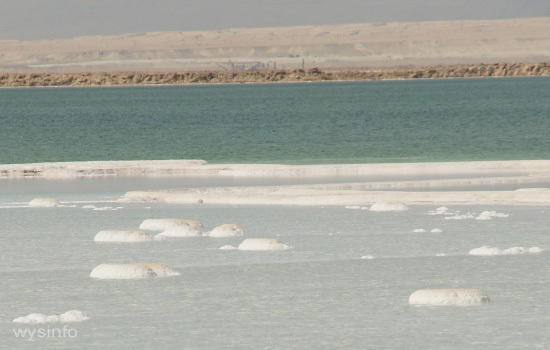 The amount of water supplied by the River Jordan, the streams’ springs, and the floodwaters on both sides of the Dead Sea, does not equal the very high evaporation rate on the lake, which amounts to approximately 2 billion cubes a year; for comparison, the figure for water consumption of Israel in 1980 was about 1.6 billion cubes. This has urged many people to start thinking about the necessary steps for preserving this unique region.